It's all about that lush pad ! Does anybody have some news for that possible repress ? Solar Detroit is not on the Solar album, we need a repress !!! I remember when it came out I hesitated to buy one. Now some people are selling it for more than 100€... Thanks to turn art into senseless speculation, pals. The full Solar album is set to be released in Spring 2017. Over 100 quid for a mint copy. Oh well, better wait for the repress. Yes, acid eiffel redux - and in fact Garnier mixed this track very well into a Lyon boiler room set last year. "Solar detroit" is really my best emotion of the year 2015. Techno ? Probably, but melodic techno would be more appropriated. This gem remains, of course, the sounds of Laurent Garnier's "acid eiffel" 22 years before. The break between the 2 exploding parts of the track put me in a trance. This is sooooo good ! 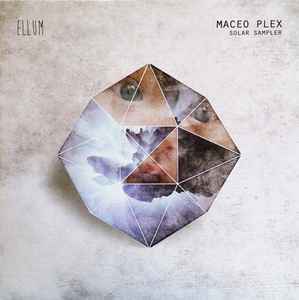 Maceo Plex is a genius. Really.